Archivist Alison Kay shares a fascinating discovery she recently made in our collection. While working on a recent cataloguing project funded by the Business Archives Council, I uncovered some fascinating new information about two key unresearched items in our collection. Atmospheric railways were an early type of railway, which used air pressure to provide power for propulsion through a pneumatic tube laid between rails. This system meant that carriages could be propelled across the line without locomotives. But this type of travel failed to take off, and was eventually abandoned. After carrying out research in Search Engine, our research and archive centre, I discovered that the diaries I was looking at were those of Peter John Margary. Margary was Brunel’s chief assistant on the Bristol & Exeter Railway, worked for the South Devon Railway, and was put in charge of the construction of the atmospheric engine houses. He was a significant man in the contruction and development of this type of travel. He became the South Devon Railway’s Resident Engineer, and on Brunel’s death in 1859 he became Engineer of the Railway. He eventually became Divisional Engineer of the Western Division of the GWR. The diaries include details of the construction of bridges, viaducts, stations and reservoirs. There are accounts of travelling on the atmospheric railway and on mail trains, and descriptions of frequent visits to atmospheric engine houses including Starcross and Torquay. Detailed within are meetings – with men from engineering firm Boulton & Watt – about setting up engines in atmospheric engine houses. As a result of the project funded by the Business Archives Council, these two volumes have now been catalogued and are available to be consulted by you in Search Engine. An exciting new resource for researchers! 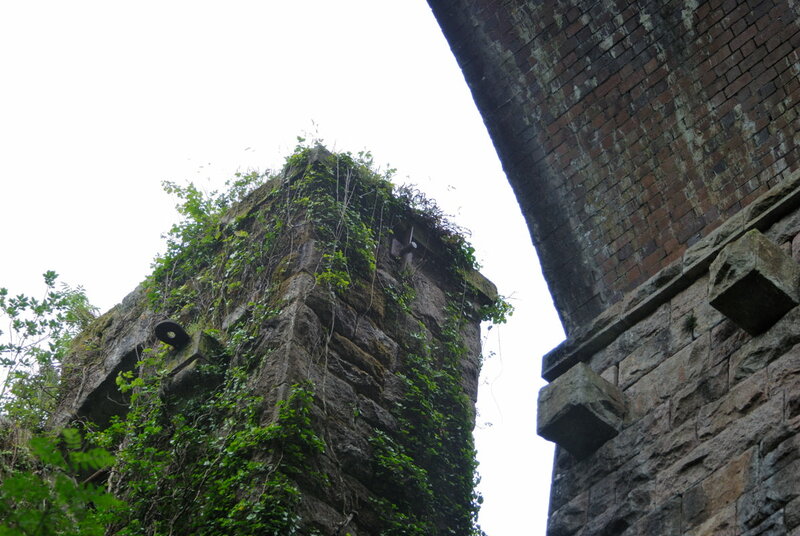 I became interested in the atmospheric railway on seeing the doubled up viaduct piers at Glazebrook viaduct OS 688 591 just west of South Brent – was the 2nd set for the extension of the atmospheric railway? Thanks for your commentand photograph re the Glazebrook viaduct. I do not know the answer to this off the top of my head so I have forwarded your enquiry to Search Engine (Search.engine@nrm.org.uk ) our library and archive service, you should get a reply from them soon. Hi, I’m interested in the Atmospheric Railway of Brunel and saw your new entries for this. Is there a page on your website that shows me how to do a search and download for this information? I couldn’t see how to access the information. The diary of Peter John Margary that relates to atmospheric railways is held in the NRM archives and can be physically inspected in the NRM library and archives centre ‘Search Engine’, email search.engine@nrm.org.uk to make an appointment to view. Unfortunately the diary has not been digitised, therefore there are no scans available online. There is a more detailed description of the diary that was compiled as part of the Business Archives Council project which is available to view in Search Engine, I will email you a copy of this as an attachment, I hope it is helpful. Our library catalogue is available online and you will see we hold a variety of books here relating to atmospheric railways http://www.nrm.org.uk/ResearchAndArchive/LibraryCollection/Books.aspx (follow the link to library catalogue) it is also possible to search our collections through the website http://www.nrm.org.uk/OurCollection.aspx. Hi Alison. A massive underground water tank was recently discovered next to the Starcross engine house. I’m part of a small group which is now researching the history of the engine house, with a view to determining the purpose and historical significance of the tank. From the limited info in the online archive, it seems that Peter Margary’s diaries may well hold the answers. Have you anything more detailed that would help us pinpoint relevant data in the diaries, please? I noticed the digging just south of the engine house when I stopped by in June. A supply tank of fresh water was needed for the steam boiler. The readily available salt water nearby would corrode the iron and the salt would accumulate in the boiler– no good on two counts!